The managing director of independent bottler Hunter Laing & Co is closer than ever to realising his dream of owning a family-run distillery. Here he tells Becky Paskin why Islay was the obvious choice of location, and what he’s learned after 50 years in the business. Some 50 years after starting a career in Scotch whisky, Stewart Laing is within touching distance of owning his first distillery. 'Islay is iconic, but that wasn’t always the case. It’s only in recent times that it’s become an iconic whisky but Islay was always a natural home for us to consider as a place to build a distillery, so long as we could get land and then planning permission. 'I used to work at Bruichladdich, but my mother’s side of the family had a pub on Islay in 1915, which is actually now holding up the walls of the round church at Bowmore. 'I was at Bruichladdich for around six months in 1965, when I was 18 years old and dramming was still allowed. At 7am and 4pm every day you were given a dram of what was in essence white spirit straight out of the still. Unfortunately it was a step too far for me; I just couldn’t manage it at that time of my life. Nevertheless it made me popular because that which I was due, I passed around the more mature members. It was a great time, a wonderful summer and the weather was glorious; to be there on Islay in any event was sensational. 'Our attraction to Islay wasn’t wholly because of my historical associations to the island. That familial aspect was important, but we as a company can never get enough Islay whisky to satisfy our requirements, so that was also a consideration. Plus obviously we recognise how many cases of Islay malt are sold in a year, so we wanted to be with the winners. 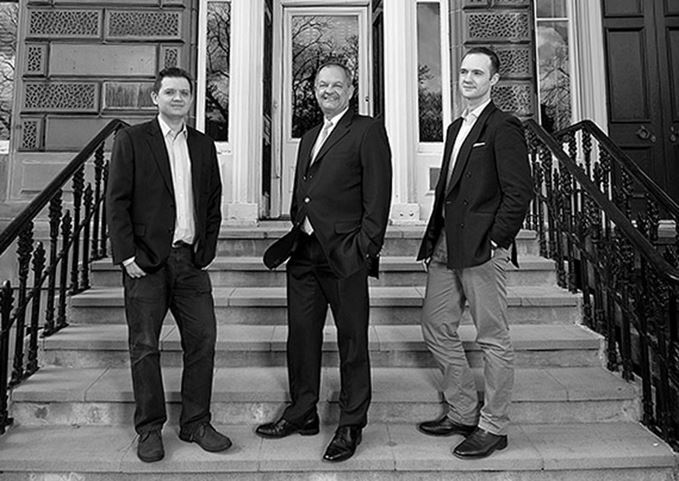 'Owning a distillery was certainly a wish we had when we first formed Hunter Laing, but the cost was too prohibitive to buy an existing distillery plus all of the stock, and for the last two and a half years we weren’t getting anywhere. We felt the time had come to take the plunge and build a distillery ourselves. 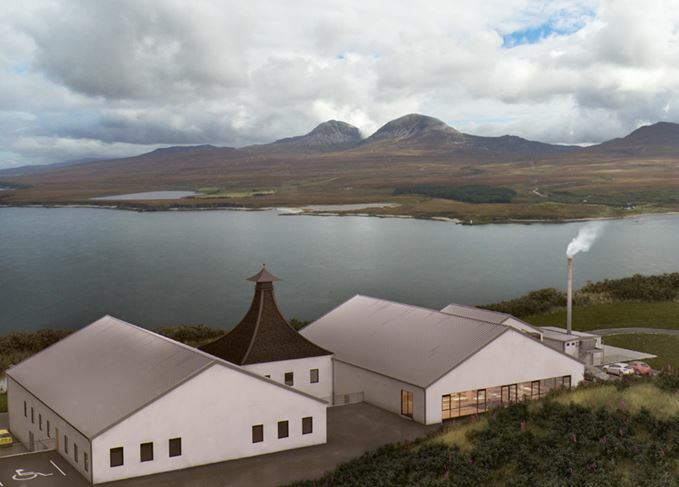 'Ardnahoe distillery – which takes its name from the nearby loch – will be built to a capacity of 500,000 RLA [re-gauged litres of alcohol]. It’s going to be a 2.5 tonne mash with two stills, but we would anticipate walking before we’re running so the first couple of years we’ll probably run at 200,000-250,000 RLA and then work forward from there. There are also cash flow considerations we’ve got to look at as well but that’s the hit we have to take at the moment. 'I can tell you categorically we won’t be making gin or vodka. We don’t want to; we’re a whisky company. I’m not a fan of white spirits – I’m a Campari man myself – but that’s got nothing to do with it. 'I still feel it was the correct decision to split from my brother [Fred] and Douglas Laing and create Hunter Laing, but on a practical level, not an emotional one. It was a difficult decision to make; I had been part of Douglas Laing since 1967 and we broke up in 2013, so that’s a long time to be in the same place with your brother. But life goes on and we don’t look behind us, we look forward and I now have the benefit of working with my sons, both of whom are very switched on and have a lot of knowledge and experience. 'The reality of working with my sons is excellent. Our profits are up since the boys arrived – the boys, they are still my boys – but generally it’s very nice, and as a father I’m very proud that they want to work with me but secondly it’s a legacy I can leave for them. 'My own father was fundamental in shaping my views on Scotch whisky and how his whisky business should be run. I learned honesty and integrity but an ability to say what you mean and to stick by what you say. Also to be a producer of a quality range of Scotch whiskies, because its difficult enough, he said, to have people come and buy from an unknown company such as it was at that time. 'My dad came from a very humble background and over the last week or two, as this thing grew closer to fruition, I thought a lot of him and wondered what he’d say. I know how pleased he’d be that we’re in this situation. 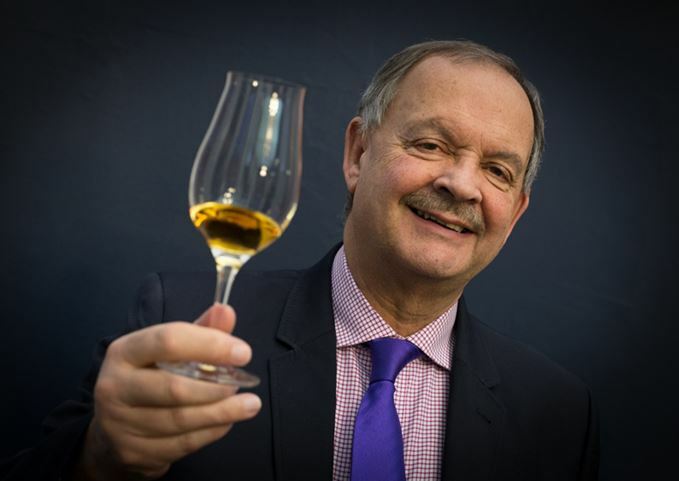 'I’ve been working in whisky now for over 50 years and the biggest change I’ve seen in that time is the huge sales of Scotch whisky now in comparison to 1965. Also the sophistication of the marketplace now and the tremendous efforts of the people in the industry to make sure that Scotch whisky is known and recognised for what it is. It’s a different world. Communication in itself makes an amazing difference. We used to send letters to Peru and it would take three weeks to get there, three weeks for them to think about it, and three weeks to send it back. It rather slowed down the pace of growth. Whisky and chocolate; whisky and music; whisky and dancing. The SoSWF concluded at a frenetic pace. Bruichladdich’s former master distiller will shape the whisky of Islay’s newest distillery. Glasgow’s past is inextricably linked with Scotch – but you wouldn’t necessarily know that today. Douglas Laing’s single cask bottling is the second in a series honouring Scotland’s islands.